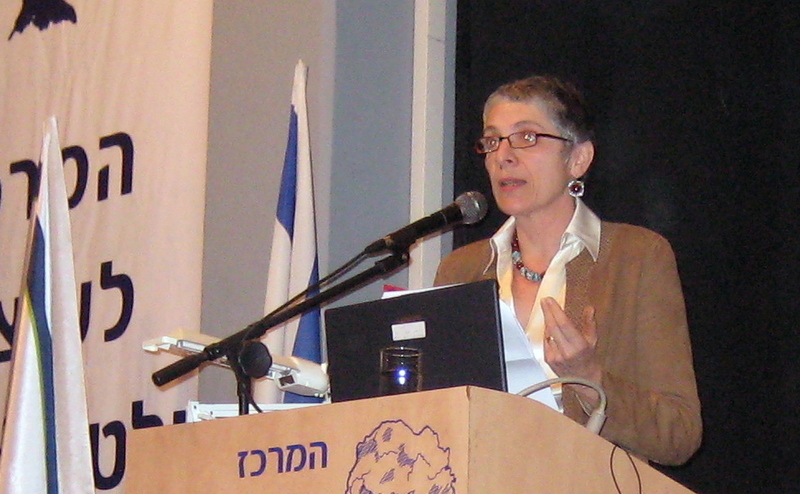 In a forceful presentation at the Ariel University Center this Thursday, the well-known British author and journalist, Melanie Phillips, discussed the de-legitimization of Israel on the international stage. We need to recognize, she said, that we are faced by a “pathological deformity of thinking” that had enabled the Palestinians to appropriate the Jewish experience and present themselves as the victims. She added that “moral and cultural relativism have turned rationalism and truth on their head.” While Israel is criticized for every wrong step it takes, the west is generally silent about the abuse of civil liberties in the Arab world, the discrimination exercised against sexual minorities and the lack of equal rights afforded to women. Melanie Phillips argued that it was time that Israel and the Diaspora stopped being defensive and went onto the offensive reclaiming the moral high ground from our enemies. She accused the western world of “sucking up to Israel’s enemies and bashing Israel” and described such behaviour as “the west’s equivalent of an Auto Immune Disease” that threatens to destroy the very fabric of western civilization. This entry was posted in International Criticism, We Are For Israel. Bookmark the permalink.